Visitors please note all dates should be checked before setting out. East Coast Races and Parade of Sail. Sailing Trawlers. Race for the King George V Cup (given by the King in 1919 and first awarded in 1922) & Brixham Heritage Cup. This class is for gaff-rig yachts principally designed for cruising or recreational use. Wooden traditional yachts - generally over 30 years old and designed for cruising or recreational use. This year the Classic will include a group of super yachts of the 1900s - up to 46m overall! Racing on original courses for Fife designed boats, including passage races to Rhu and Rothsay. Organised by the Museumshafen Kappeln , this meeting takes place each year on Ascension Day (Himmelfahrt). The regatta starts in Kappeln an der Schlei, a 20km long fjord in Northern Schleswig-Holstein on the Ostsee. The route takes participants to Sonderborg, a small Danish town on the border with Germany. 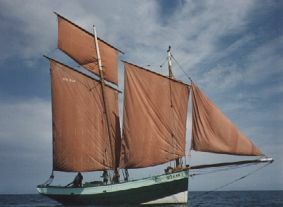 All gaff rigged vessels may participate, sailing together as a single class. Meeting for large classic yachts. Several meeting for modellers throughout the year. Details on the Museum web site. 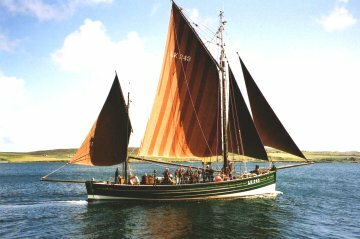 Traditional boats, older boats, wooden boats, music, theatre, cartoons, a true meeting of Arts and the Sea. Venue: Hanko Archipelago in Southern Finalnd. Starting and returning to Bromarv. Now in its sixth year this long distance adventure race on Finland's South Coast, is for traditional or classic craft between 4.5 and 7.5m, under sail and oar. Two day classic and wooden boat rally with on-shore and water-based space for cruisers, dinghies, day boats, canoes, sail, paddle and power craft. Trade space, boat equipment and car boot sales areas. Social activities, competitions and fireworks display. Sorry, no narrowboats. Competitive festival for small boats under sail and oar, coast to coast by way of the spectacular scenery of the Great Glen. Location: Portsoy, Banffshire, on the Murray Firth. Racing and other events ashore and afloat. Southwold Pier will be the centre for the races and a maritime exhibition, with craft alongside. Southwold Harbour will accommodate as many craft as possible. A country venue at which to see the best of Thames traditional boats including steam and electric launches, Thames traditional slipper launches, skiffs and punts. Dunkirk Little Ships join the parade, and there is a good deal of entertainment on the bank side including a fine jazz band. Excellent parking and a picnic atmosphere. Advance Tickets available, either call (01932) 888415 or visit the web site.